Fancy some free training in digital skills? 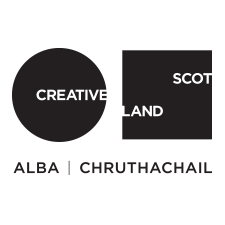 ‘Putting the social into social media’ is a new project coordinated by Voluntary Arts Scotland that is offering anyone aged 50+ who helps run creative cultural activity, free training in digital skills. Topics covered in the training could be anything from how to establish a Facebook page for your group to designing eye-catching posters for events, or using mobile technology to reach new members. VAS want you to help shape the training by telling them what you would like to learn. This project is being funded by the Scottish Government as part of its wider Digital Scotland programme, delivered through SCVO’s Digital Participation Charter Fund. It is hoped the training will provide participants with new skills that can help their creative group/project. So if you’re over 50, actively involved in a creative group and/or project, and feel you could benefit from training in social media and other digital skills to pass onto others, Voluntary Arts Scotland would love to hear from you before Mon 7 Aug.